Born in 1949 in Spokane, Washington, USA, John Ilmarii Koivula has been studying and photographing the microworld of gemstones since 1961. As an extension of his inclusion research and microscopy he has developed several useful illumination techniques applicable to gemology. He introduced fiber optic illumination to gemology and discovered many of the micro-characteristics now routinely used in the separation of treated stones from natural gems, such as internal diffusion in proving treatment, chromophore cannibalization and the usefulness of intact carbon dioxide and other fluid inclusions in proving natural color. He is a contributor to numerous books including the American Geological Institute's Glossary of Geology, the fifth edition of Robert Webster's Gems, the Gemological Institute of America's (GIA) "Diamond Dictionary," and the reference volume Geologica: A Study of Crustal Landforms. Mr. Koivula and Dr. Eduard Gübelin are co-authors of the major gemological reference work, Photoatlas of Inclusions in Gemstones, Vol. 1. In addition, John Koivula's book, The MicroWorld of Diamonds, covers natural diamonds, synthetics, simulants, and enhancements. Together with Dr. Gübelin, Mr. Koivula completed Photoatlas of Inclusions in Gemstones, Volume 2, which focuses on the identifying characteristics of natural gems, recent synthetics and treated gem materials. Photoatlas, Volume 2 was released in January 2006. 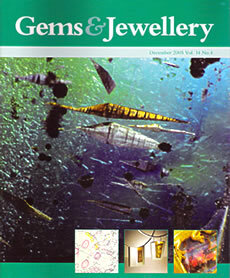 Photoatlas of Inclusions in Gemstones, Volume 3, which concludes the series, was released in 2008. It includes chapters dedicated to diamonds, rubies, sapphires and emeralds and 21 chapters dedicated to rare gems. John Koivula's photomicrographs have graced the covers and contents of numerous books and journals. He has also won several international photographic awards including "Nikon's Small World Competition" and Kodak's "Professional Photographer's Showcase." Koivula has lectured extensively both in the United States and abroad. He has been a guest lecturer at industry forums, including the American Gem Society's annual Conclaves, the Canadian Gemmological Association's Symposia, the Gemmological Association of Great Britain's 100th Anniversary celebration, the Gemological Institute of America's International Symposia, the German Gemmological Association's 50th and 75th Anniversary celebrations, and the Rochester Academy of Science Mineralogical Symposia. Koivula has lectured at numerous International Gemmological Conferences, where he also serves as an executive board member of the International Gemmological Conference group (IGC). John Koivula graduated from Eastern Washington State University, earning two baccalaureate degrees in mineralogy-geology and inorganic chemistry. He also holds many gemological credentials, including the Gemological Institute of America's Graduate Gemologist Diploma. Koivula is a certified Gemologist of the American Gem Society. He also earned a Fellowship Diploma from the Gemmological Association of Great Britain, and was awarded a fellowship in the Royal Microscopical Society. John Koivula is an honorary life member of both the Finnish Gemmological Society and the Gemmological Association of Great Britain, and was named as one of the 64 most influential people of the 20th century in the jewelry industry by Jewelers' Circular Keystone Magazine. John was bestowed The Richard R. Liddicoat Award from GIA in 2009. He also has been awarded the Robert M. Shipley Award by the American Gem Society, the Scholarship Foundation Award by the American Federation and California Federation of Mineralogical Societies, the Antonio C. Bonanno Award for excellence in gemology by the international Accredited Gemologists Association, and Koivula was the first recipient of the Richard T. Liddicoat Journalism Award from the American Gem Society. Koivula was instrumental in the development of the "MacGyver" television series for ABC, working as scientific and technical advisor on the show during its seven year run. Before joining the Gemological Institute of America in 1976, he worked in the mining industry performing mineral exploration for Cominco American. He also worked in the retail jewelry industry for several years. 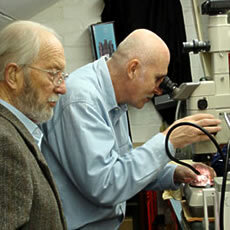 Currently, John Koivula is Chief Gemologist of the Gemological Institute of America, in Carlsbad, California. 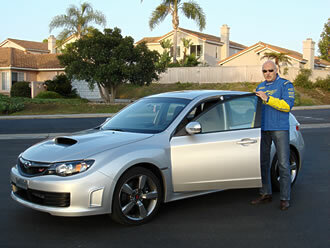 He lives with his wife, Kristi, and four very spoiled house rabbits.